Hello, I’m Eliel Luma Fionn, an intuitive, writer, and artist. 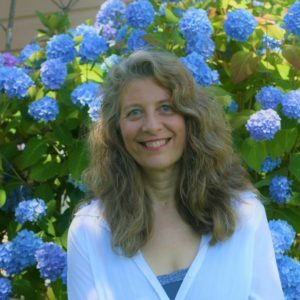 I’ve spent many years exploring different aspects of creativity, including needle felting, teaching preschool children and elderly adults, writing fiction and poetry, providing intuitive consulting, and gardening. I was born with many intuitive gifts which I learned to manage, along with synaesthesia, the intermingling of senses in which one may hear colors or see sounds. For me, intuition is a sense like vision or hearing, and feels completely normal. I found over the years in working with 3-5 year olds that many of us start out life with such abilities and when we get to public school we simply lack context for them. Once we pay more attention to our body sense, those gut level instincts increase. And as with any other skill, we become better with practice. I had a monumental kundalini experience in my late 20’s, and my senses, as well as my connection to universal principles, expanded considerably. They continue to do so to this day. Due to energetic and emotional sensitivity, I was forced to find ways to negotiate the world while determined to stay open. Learning to filter infinite levels of information has been a primary focus, and I have honed my intention to include what is of most service at the time, rather than being distracted by interesting phenomena that is not particularly practical. I have a B.A in English, training in Early Childhood Development, and have done post-graduate work in Psychology. I have also worked as a massage therapist and been trained in Reiki and other energy systems. Although I am familiar with many forms of energetic healing, I tend to address what is, rather than superimposing a system on my clients, partly because I have often confounded such system-based methods myself. My intention is to hold a safe space for clients to experience themselves more fully. This process includes creative exploration, and a lot of fun too!